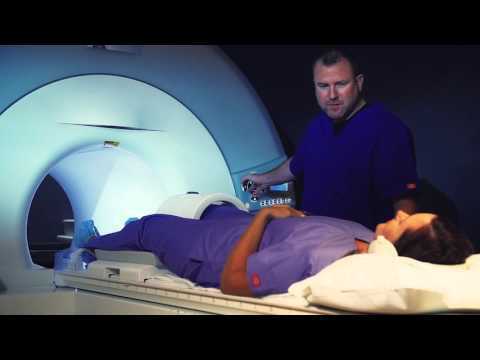 Magnetic resonance imaging (MRI) is an imaging technology that uses powerful magnets, radio waves and computer technology to create detailed pictures of structures inside the body. It is a painless and extremely safe procedure - no radiation is used - that can very quickly help your doctor diagnose a variety of medical conditions. Musculoskeletal MRI is also an important tool in assessing the results of orthopedic surgery and other treatments for injuries and degenerative disorders. MRI is available at our outpatient facilities as well as at our affiliated hospitals. University Radiology offers the latest in MRI technologies including High-Field MRI, which uses a cylindrical tube in which the magnet is enclosed, and Open MRI, which has a wide-open space for larger patients or those who are claustrophobic.